This post is brought to you by Jollibee. One of the reasons why I love being in the Philippines are my friends. While I love traveling overseas, coming home excites me because I can spend time with them again and share stories from my trip. Yes, Skype and Hangout makes it easy to talk to each other when you’re miles apart, but there’s just no comparison to hanging out together , feasting on isaw and barbecue. I’d post a picture of us, but my friends wouldn’t like that. 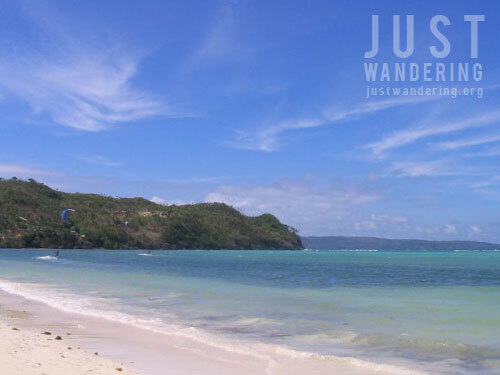 One of my most memorable trips was the first time I went to Boracay in 2005. It was our first big trip, and we stayed in the island for two weeks (some staying longer). There were mornings spent languidly having breakfast in D’mall, afternoon walks along the white beach from Station 1 to Station 3, nights spent partying at the Big Fish events. The thing is, whether we’re in Boracay, UP Diliman or each other’s houses, we have a blast just being together. I’ve traveled more since then, and made new friends. One thing that I’ve noticed is that Filipinos really do love to laugh and have fun. Always ready with a smile and a joke, this is what I miss when I go abroad. RELATED: Where are you going for the holidays? In his new video, Bogart the Explorer takes his new friend Kirk around the Philippines to see what makes the Filipino so happy. They photobomb a group shot, videoke their hearts out, join street dancers and even eat Chickenjoy. Bogart says it best: “The Filipino culture is hard to define. We’re mixed, we’re diverse. But the best thing about visiting the Philippines and what sets us apart from other countries is our people. We’re our country’s greatest treasure.” Do you agree? To know how to be a happier or happy Filipino, visit www.thehappyfilipino.com. Filipino hospitality is one reason why many tourist is coming back to Philippines. really? unsa man imo grammar haw? Haha, okay, I really liked that plug. Bogart’s such a character — and now I’m craving some Regular Yum. Walang kamatayan. Hahaha go Bogart! That was fun. Davao reprezeeennttt!!! Hi! I’ve read your posts and it’s fun to read. I hope to be as great blogger as you are. Want to read mine? http://scarlettie13.blogspot.com/ it’s about relaxation and enjoyment through travels, books and movies. So far, it has a few posts but many posts to come! The Philippines seem so cool. A friend of mine went last year and said it was an amazing experience.